Product prices and availability are accurate as of 2019-04-23 06:56:59 UTC and are subject to change. Any price and availability information displayed on http://www.amazon.com/ at the time of purchase will apply to the purchase of this product. Beautiful interlacing "X" and Scorpion design. Completes any western outfit or enhance any casual attire. 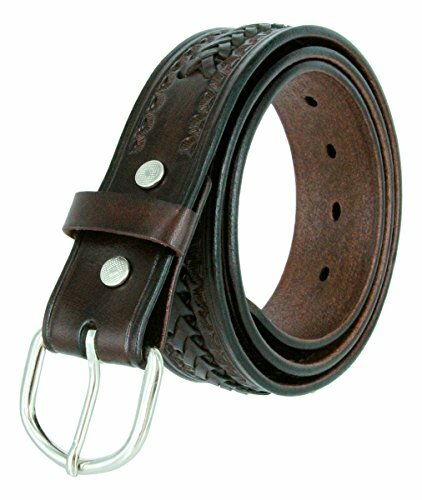 38mm or 1-1/2" wide genuine leather made with our snap system to interchange buckles. 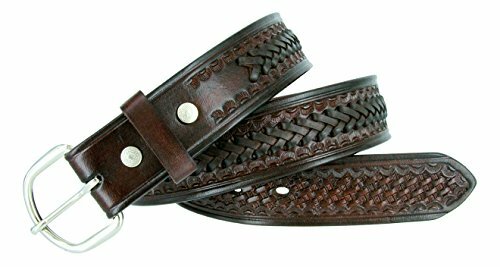 38mm = 1-1/2" wide woven scorpion basketweaved genuine leather. 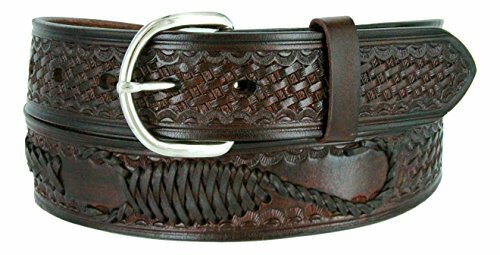 Real leather Interwoven to create an "X" pattern and Scorpion style Snap system to interchange your favorite buckles up to 1-1/2" Width Embossed to create a Western flair and to enhance its uniqueness Belt is measured from the fold where the buckle is to the middle hole. In order for you to get the correct size, you will need to measure your current belt from the fold to the hole where you wear the belt.